I guess Baron-Engel Equestria Dreamscape is having more of an effect on me than I thought. Yes, I made my own Pony-sona today for gits and shiggles. 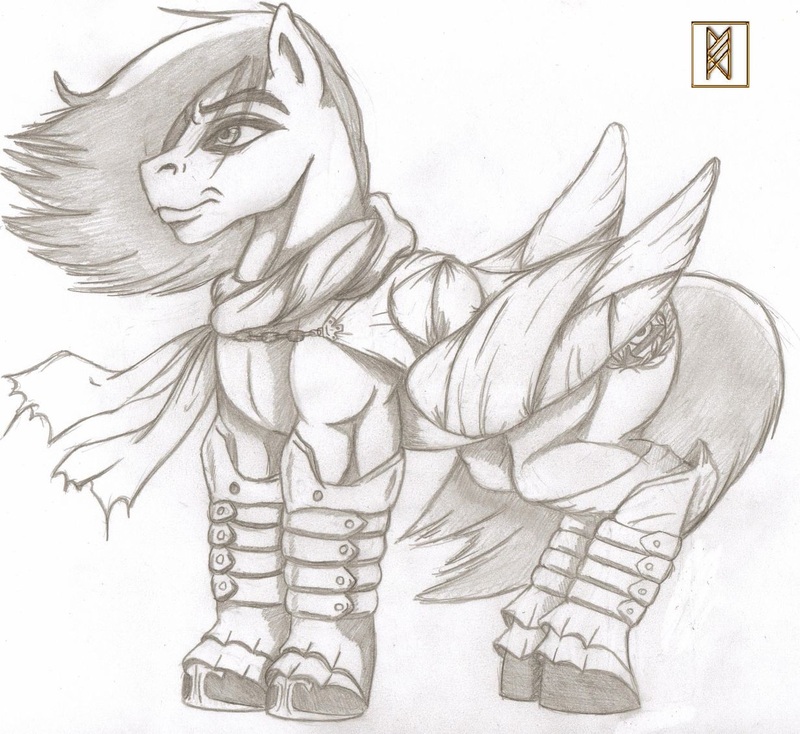 Though I still have a lot of his story to iron out, Fallen Artillery was once a powerful Alicorn banished to the Realm of Shadows when the Sisters were still young. Over the decades there, he was pursued and relentlessly tortured by the Lord of Nightmares for sport, with each capture stripped of one of the symbols of his race. Returned to Equestria by Luna and Zecora, he disguises himself as a simple vagabond Pegasus, crippled in battle and unable to fly. Meanwhile, he teaches the Night Sister all he knows about the Realm of Shadows, it's workings, and the Lord of Shadows inevitable return.